Spectacular work of art. 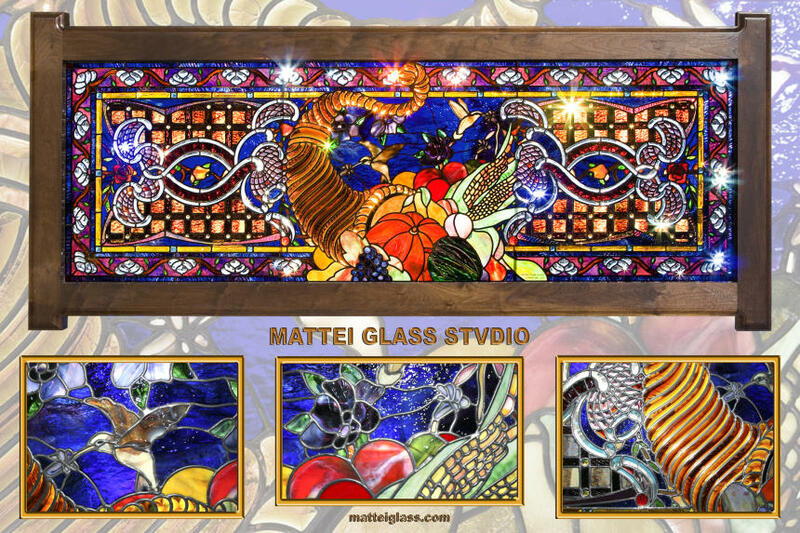 Featuring a Cornucopia, beveled in dalle glass, I have made this window twice, slightly altering the design to include hummingbirds in the second window. There are almost 1,000 bevels, both clear and dalle, in this window, some smaller than fingernails. Much of the window is double glazed for unbelievable color depth. It measures, framed, 6 1/2 feet (2m) across. It was originally designed as part of a 3 piece set but the first client decided not to proceed with the other 2 panels.